Hildegard of Bingen was one of the most remarkable women of the Middle Ages—an Abbess and woman of God, a visionary, naturalist, playwright, political moralist, and composer. Born in 1098, she was beset by the most extraordinary religious visions from the age of eight-visions which she wrote down, painted, dramatized, and set to music. This substantial legacy of her visionary writings and songs are unique for their mystic power and beauty. They serve as some of the most radiant and illuminating accounts of religious experience ever. Hildegard of Bingen was one of the most remarkable women of the Middle Ages—an Abbess and woman of God, a visionary, naturalist, playwright, political moralist, and composer. Born in 1098, she was beset by the most extraordinary religious visions from the age of eight-visions which she wrote down, painted, dramatized, and set to music. This substantial legacy of her visionary writings and songs are unique for their mystic power and beauty. They serve as some of the most radiant and illuminating accounts of religious experience ever. Yet, despite this outpouring of religious creativity, her visions were called into questions, and she was put on trial by the Church in 1148. This is the story of events leading up to that trial and of the trial itself. The setting is the monastery of St. Disibod on the Rhine in central Germany. 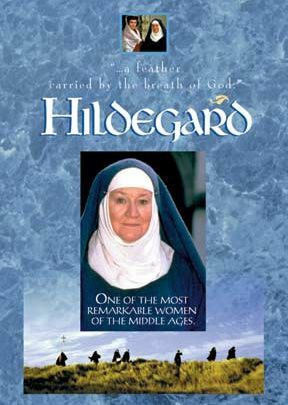 Hildegard's befriending of a young persecuted girl and the care she shows for a dying crusader eventually lead her into conflict with her Abbot. She is placed under an interdict, which results in Hildegard and her nuns being forbidden from taking communion and singing the divine service. After enduring the punishment for some time, Hildegard protests, and it is her subsequent examination and trial by the Archbishop of Mainz around which the story revolves. This beautiful film features excerpts from Hildegard's own mystically powerful writing as well as her exquisite songs of prayer. A companion guide in PDF is available (click link on "Downloads" tab above).